Home > News > Lung recipient Justin Wall: I can’t wait to go again! Over the weekend of 16-18th March, I was lucky enough to meet some of the most inspiring people ever. Having been through the transplant procedure myself, I thought I’d seen it all. No. These people were pushing boundaries in their personal and sporting lives that I hope to one day. Being coached by internationally renowned people such as Bill Sweetenham in swimming greatly improved my efficiency and energy conservation which will hopefully allow to swim faster and longer. The facilities we were afforded were absolutely world class, so much so that during our stay we witnessed Olympic and Commonwealth Games teams from such countries as Hong Kong, India, Sri Lanka and Belgium along with international triathlon teams from USA, Canada, Great Britain, Japan and Korea. Wow. What a treat! It was hard not to be swept away in the rush and adrenaline of all there greatness around. We were worked physically as well as mentally with sessions on nutrition, sports psychology to name a few. Overall, I left absolutely shattered physically and mentally. I can’t wait to go again. 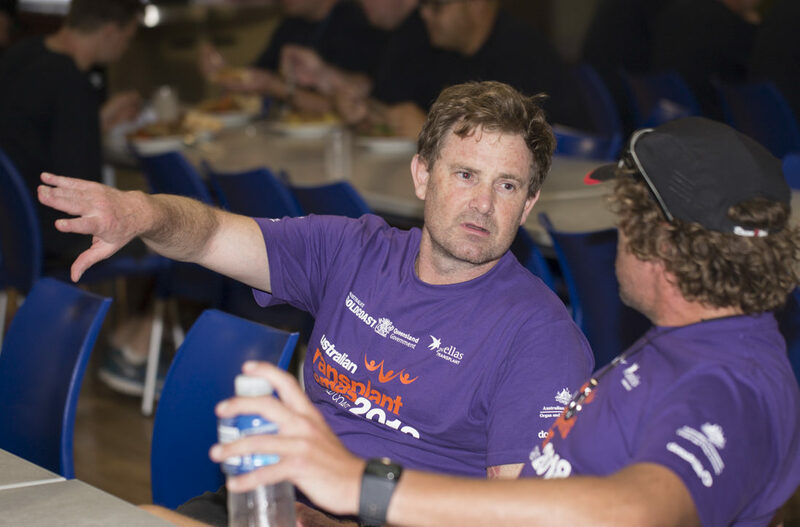 – Justin Wall, lung recipient, reflecting on the Transplant Australia High-Performance Sports Camp at the Super Sports Centre in Runaway Bay, one of the key events in the build to the 2018 Australian Transplant Games on the Gold Coast.